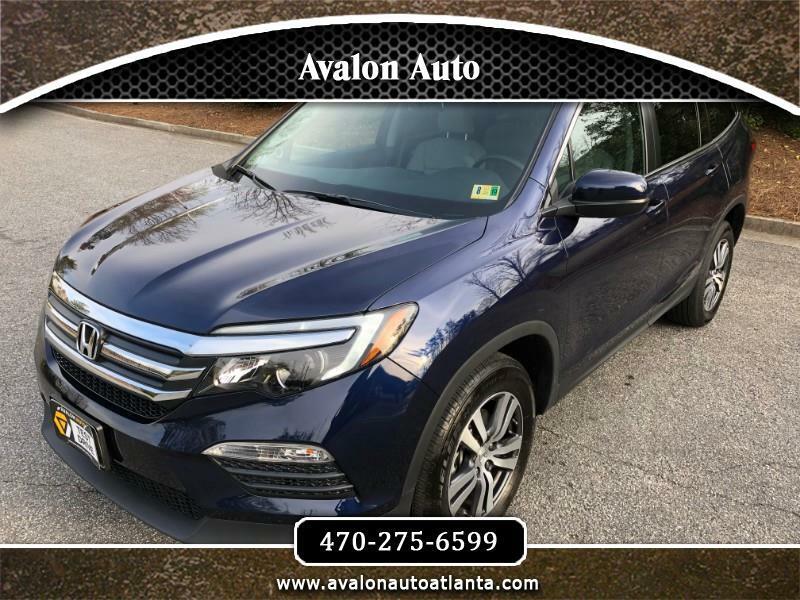 You are looking at a 2017 Honda Pilot EX-L AWD in a beautiful Obsidian Blue Pearl. Packed with bells and whistles, this particular EX-L model Pilot comes standard with a very capable All- Wheel- Drive system and all the modern amenities including Bluetooth Hands free and audio, Leather Heated seats, Sunroof, Backup Camera and Honda's intuitive HondaLink Smart Phone Connection and Phone Mirroring capabilities. This is essentially a brand new car, perfect from end to end, inside and out and still covered under all of Honda's Factory Warranty programs.